Our widget is specific for each hotel & chain. 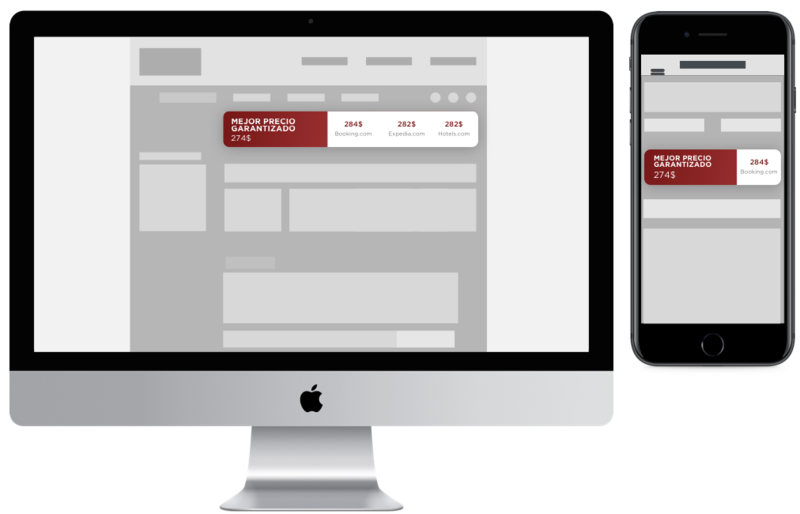 All design & contents are adapted to your website. All our products are fully adapted to any device: desktop, tablet or smart phone. 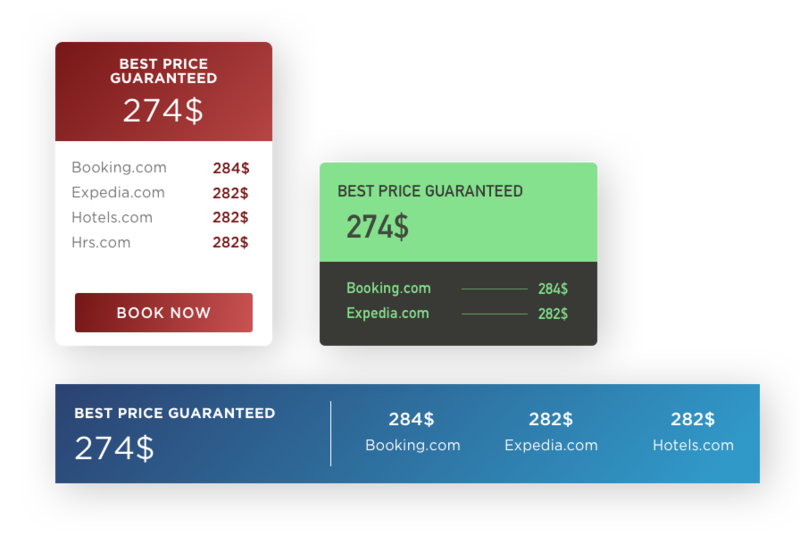 Demonstrate your visitors that booking directly on your website is better than in an OTA! Integration in your booking funnel is easy & simple: just on line of code is included in your page code. The implementation can be done through tag manager.